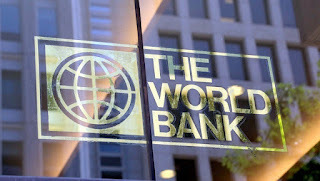 The World Bank has said it will spend 15 billion dollars from 2021 to 2023 to help Nigeria and other African countries strengthen their human capital. The World Bank Vice President for Africa, Mr Hafez Ghanem, said this at the launch of the bank’s Africa Human Capital Plan during the World Bank-IMF Spring Meetings on Thursday. Ghanem said that the objective of the plan was to enable Africa’s young people to grow up in optimal health, and be equipped with the right skills to compete in the digitising global economy. He said that Sub-Saharan Africa scored the lowest of all the world’s regions on the World Bank’s Human Capital Index, which measures how well countries invest in the next generation of workers. He said the rate explained the high mortality and stunting rates in the region, as well as inadequate student learning outcomes, with direct negative effects on economic productivity. To tackle this, Ghanem said the World Bank will increase its investments in human capital in Africa by 50 per cent in the next funding cycle. He said that the bank would give new grants and concessional finance for human capital projects in Africa totaling 15 billion dollars in fiscal years 2021-2023. He said the World Bank would invest the funds strategically to unblock structural constraints to human capital development. He said it would also target game changing interventions that leverage technology and innovation and that prevent and reverse damage to human capital in fragile and conflict-affected countries. “Preventing a child from fulfilling his or her potential is not only fundamentally unjust, but it also limits the growth potential of economies whose future workers are held back. “GDP per worker in Sub-Saharan Africa could be 2.5 times higher if everyone were healthy and enjoyed a good education from pre-school to secondary school. “The plan also aims at empowering women to prevent early marriage and pregnancy for adolescent girls. “The adolescent fertility rate in Sub-Saharan Africa is 102 births per 1,000 girls which is three times as high as in South Asia. “This not only damaging for girls and their children, but it also hurts economic growth,” said. 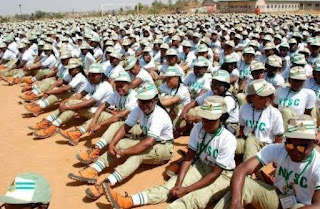 According to the World Bank’s Human Capital Index, a child born in Nigeria today will be 34 per cent as productive when she grows up as she could be if she enjoyed complete education and full health. Students in Nigeria score 325 on a scale where 625 represents advanced attainment and 300 represents minimum attainment.